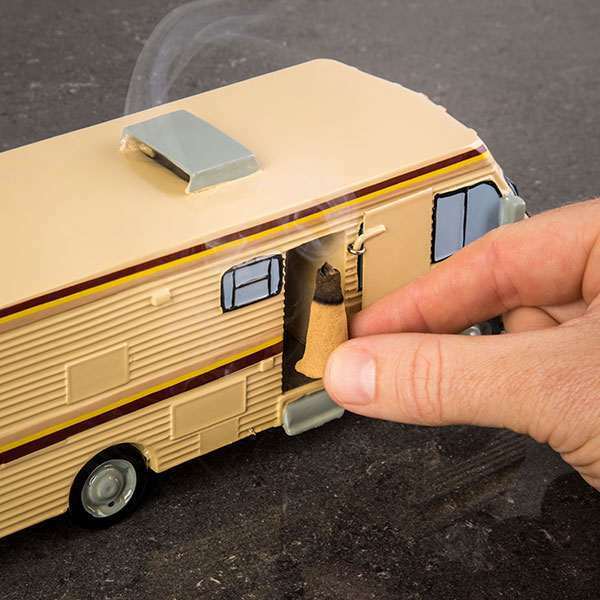 Ah, the Breaking Bad RV Incense Burner. [Cue nostalgia.] Reminds me just how much I miss the Krystal Ship. 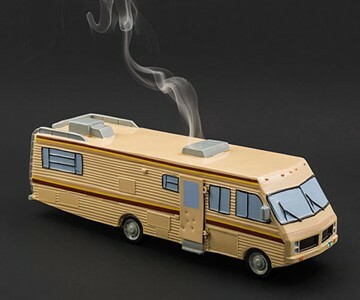 I can't believe it's been 4 years since Heisenberg & Pinkman cooked their last batch. I hope things turn out better for me using a 1986 Fleetwood Bounder to burn incense cones than they did for Walter White using one to whip up his Blue Sky. The Krystal Ship incense burner will not cook illegal substances or get you high. But. It might cover up the smell of one or two substances that will. I hear patchouli incense is good for masking stale beer, opening your second Chakra, and attracting fae creatures too.